Friends for Our Riverfront: Canoe for Harbor Clean-Ups, YES! Canoe for Harbor Clean-Ups, YES! To date, the Memphis River Warriors have pulled more than 99,000 pounds of trash out of McKellar Lake and Wolf River Harbor! 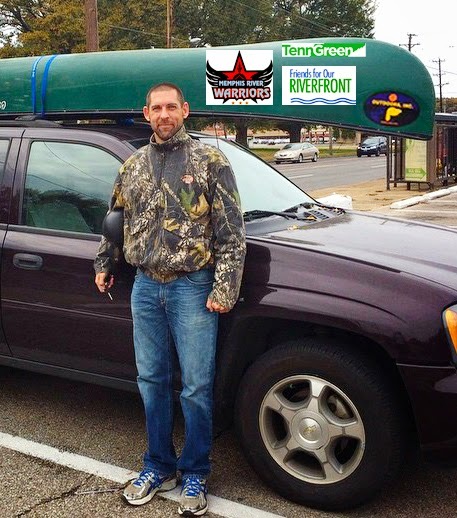 Now, thanks to a "connection grant" from TN Parks and Greenways Fdn., the generosity of Estie and John Sheahan, and a sweetheart deal from Joe Royer and Outdoors Inc., Friends for Our Riverfront has given Colton Cockrum a canoe to make the work a little lighter and even more mighty. The canoe is to be tested for river worthiness tomorrow at the McKellar Lake Nov. 15th Clean-Up with plans for her official launch this Spring.